The entire premise of Avengers: Endgame centers on the remaining heroes finding and defeating Thanos once and for all. Luckily for any fans who can’t wait until April 26 to learn how that happens, Marvel recently unveiled an exclusive scene during CinemaCon that clues us in to the Avengers’ plan, specifically revealing how the Avengers find Thanos and who’s part of the team sent to take him out in Endgame. CinemaCon is an event hosted by theater owners every spring for the film industry. It’s where marketers, distributors, and Hollywood studios converge as they prepare special presentations and screenings in anticipation of films to come. Io9 was on hand at the Marvel presentation and wrote up a detailed breakdown of the Endgame scene that was screened. The scene starts with Captain Marvel setting off to find and kill Thanos on her own. Black Widow convinces her to stay and says they “usually work as a team.” Captain Marvel reveals that she might know people (or aliens, who knows?) that could give her Thanos’ location. But where is that? Rocket lays it out. He said when Thanos snapped it sent out an energy field unlike anyone has ever seen…until two days ago, when another planet experienced something similar. Thanos used the stones again, they realize. “So let’s go get them and use them to bring everyone back,” says Captain Marvel. The scene ends with the Avengers flying off into space. While similar footage was shown at Disney’s shareholder meeting in March, Captain Marvel is included in the scene this time around. She wasn’t in the original footage, though it’s safe to say Marvel edited her and her dialogue out due to spoilers (Captain Marvel hadn’t yet been released). Nebula’s information regarding Thanos’ location is also new information and is an example of how vital she will be in the fight against the Mad Titan. 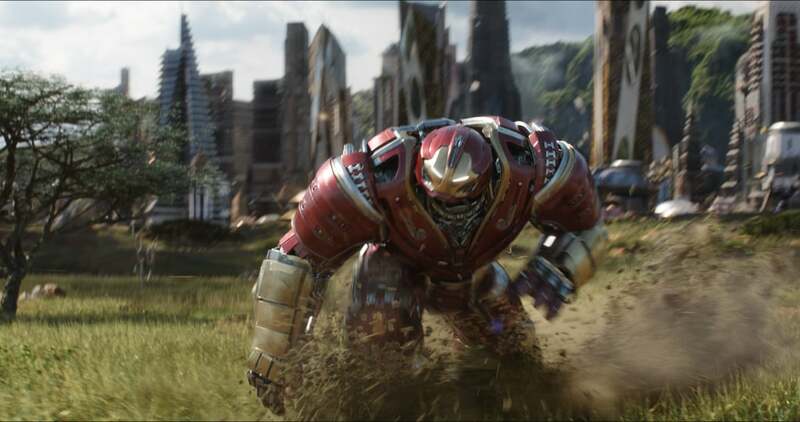 The scene sets up the Avengers as active participants in their attempts to take down Thanos. The footage also reveals that the scene takes place just a few days after the Snap occurred in Avengers: Infinity War and not long after Captain Marvel showed at Avengers HQ looking for Nick Fury in her film’s post-credits scene. Karen Gillan plays Nebula in 'Avengers: Infinity War'. Though it isn’t clear when exactly Nebula made it to Earth, she does reveal Thanos’ location and appears to be a part of the core team throughout Endgame. Whether the Garden is an entire planet or a specific spot Thanos has carved out for himself somewhere in space is unknown, but it sounds like a peaceful and serene place, a strange environment to imagine Thanos retiring to after all the chaos and destruction he’s caused. We’ll most likely be seeing the Garden at some point in the movie, but there’s no telling if the Avengers ever make it there or if they’ll end up fighting Thanos on Earth (or both!). We can assume that Thanos wants the Garden to remain untouched and if he finds out what the Avengers are planning, he’ll probably try to cut them off before they can find him. The scene works to set up the entire plot of Endgame and reveals that it’s Captain Marvel who suggests retrieving the Infinity Stones to “bring everyone back.” This explains why one of the earlier summaries posted to Atom Tickets singled her out as one of the key characters (the other being Ant-Man, though his plot seems to come in at a later point in the film). The scene seems to start out somberly. After all, they’re still mourning the dusted. With a course of action and a location on Thanos, however, the footage offers up an exciting start to Endgame and showcases the Avengers as a united front against a common enemy.